IT’S A BUNDLED, AUTOMATED MARKETING CAMPAIGN. Go beyond the predictable! Visual Market Insights bundles trending topics, attention-grabbing imagery, social media posts, a landing page and email communication into a comprehensive, automated marketing campaign — every month. KEEP CLIENTS AND PROSPECTS INTERESTED, ENTERTAINED AND ENGAGED. Easy to read and understand means it’s more likely to be remembered and shared by your clients and prospects. A range of topics not only informs and entertains your prospects and clients, it helps position you as an expert. Track opens and clicks to see who engages most with your content. Identify client needs and nurture hot prospects. ENGAGE PROSPECTS AND CLIENTS CONSISTENTLY. IT’S IMPORTANT TO REEL PROSPECTS AND CLIENTS IN AND GIVE THEM A GREAT EXPERIENCE. BUT DON’T WORRY ABOUT IT…THE HARD WORK HAS BEEN DONE FOR YOU! 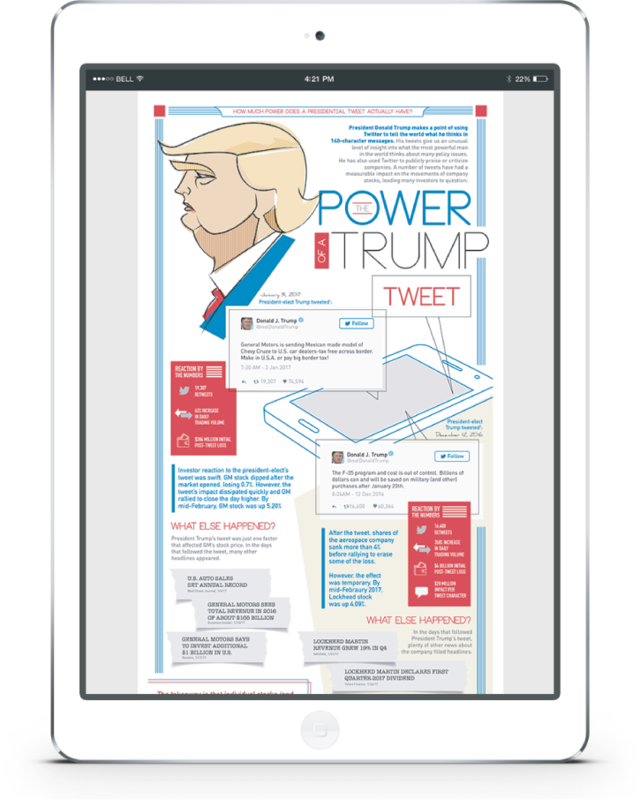 Listen, it’s important for your messages to look good on any device. Even great content can lose people if it’s not presented conveniently. You’ve got to promote via multiple channels (email, social, landing pages). The content and design has to be consistent, high quality and strategically arranged. Done! Find peace of mind and convenience. We submit every Visual Market Insights campaign for FINRA review. We do a happy dance when our clean letters come back! IT’S TIME TO GET CRACKIN’ AND WOW THEM WITH VISUAL MARKET INSIGHTS. What effects do President Trump’s tweets have on stocks? Explore the answers and establish your expertise on interesting market events. 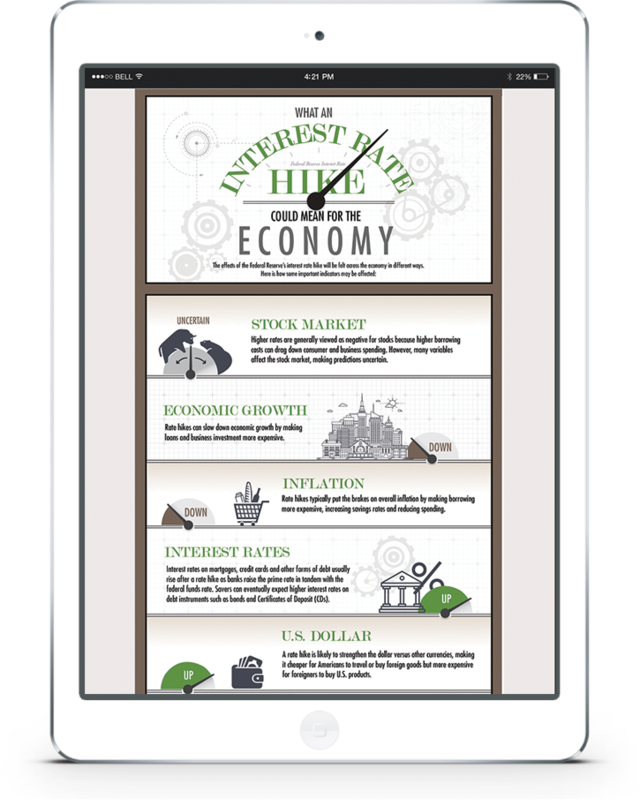 Give prospects and clients an informative visual explanation of what the Fed’s plans for higher interest rates could mean for them. 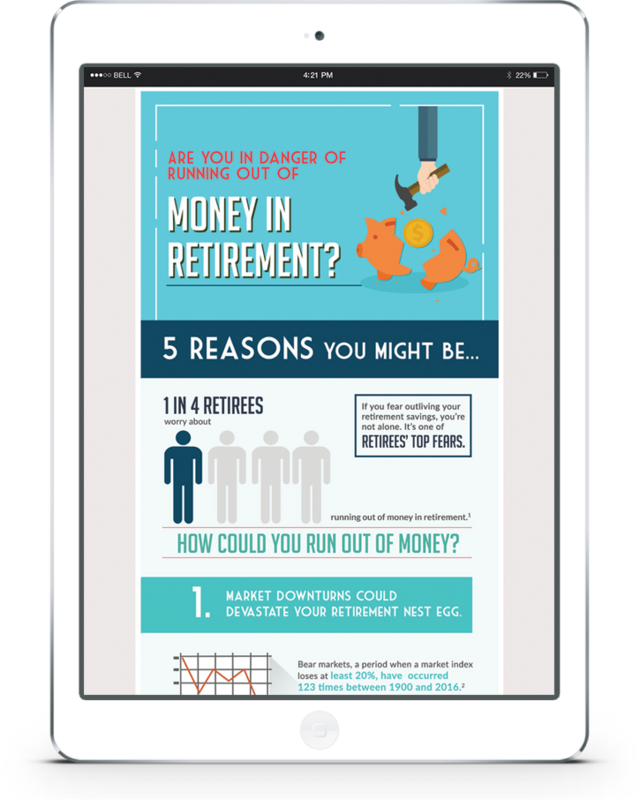 Many retirees fear running out of money in retirement. Illustrate top risks and guide them towards practical next steps and mindsets.